Execution room in the San Quentin State Prison in California. This week, Oklahoma's Supreme Court stopped the executions of two convicted murderers. 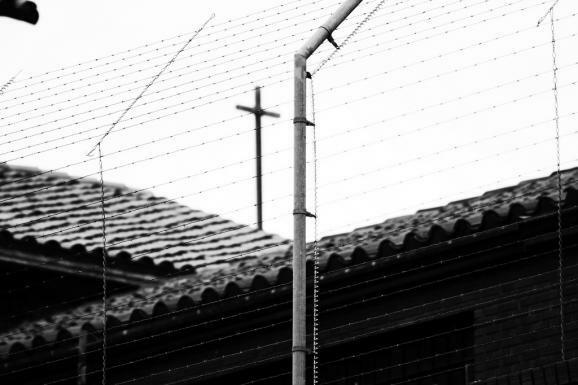 At issue: where the state gets its execution drugs. The state does not want to reveal its source. Texas also has long kept its lethal drug suppliers secret, although Attorney General Greg Abbott recently issued an opinion stating it's time to go public. 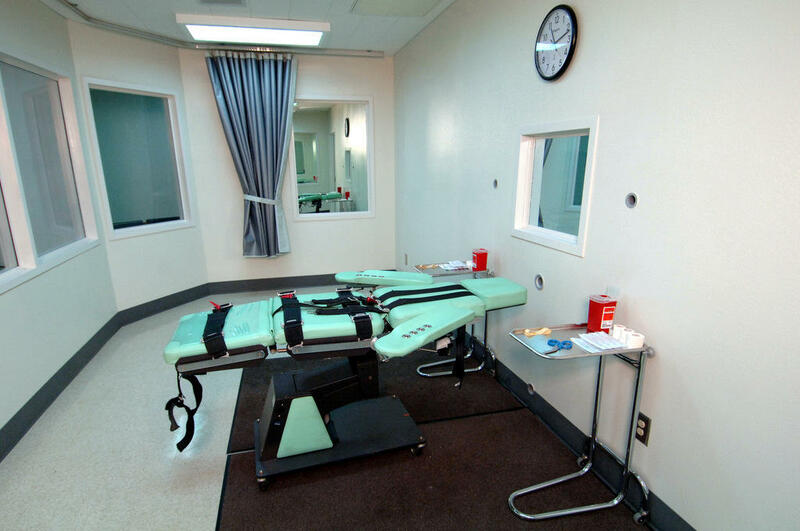 But as death penalty opponents increase the pressure to expose suppliers and to disrupt the supply of the drug, some states are reviewing their options on capital punishment. In this week's Texas Standard spotlight interview, David Brown speaks with University of Richmond School of Law's Corinna Lain about recent developments in states' efforts to adapt their capital punishment laws as it grows more difficult to get the drugs for lethal injection. 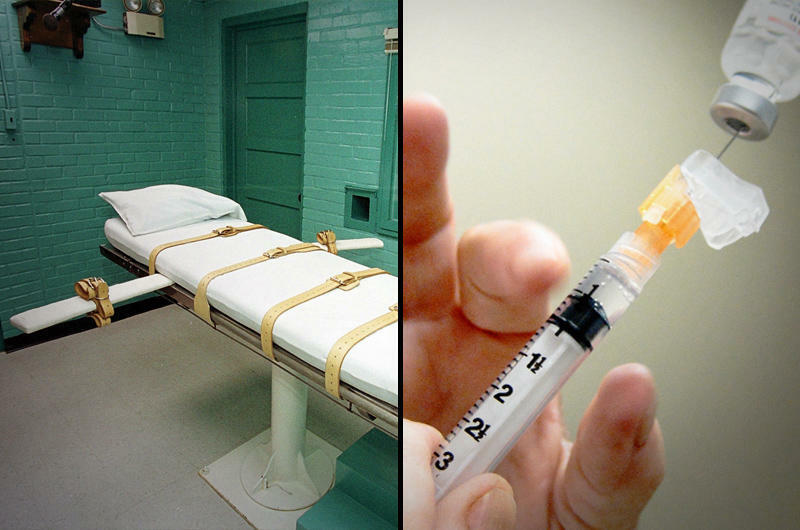 A federal judge in Houston on Wednesday blocked two Texas executions, deciding that the state prison system’s refusal to disclose detailed information about drugs that will be used to kill them violates the inmates' constitutional rights. U.S. Judge Vanessa Gilmore issued a preliminary injunction that effectively blocked the Thursday execution of Tommy Lynn Sells and the execution of Ramiro Hernadez Llanas, which was scheduled for April 9. The Attorney General’s office notified the inmates' attorneys and the court that the state's attorneys will appeal Gilmore’s decision.